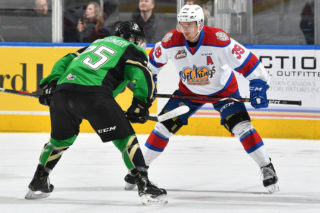 Edmonton Oil Kings captain Trey Fix-Wolansky was named Eastern Conference Player of the Year, the Western Hockey League announced on Wednesday. 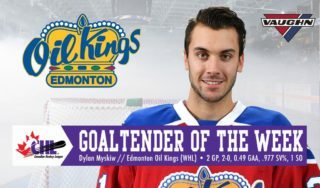 The 19-year-old, Edmonton native is coming off a historic 2018-19 campaign with the Oil Kings, finishing the regular season tied for the team lead in goals (37), along with the outright lead in assists (65), points (102), plus/minus (+36), shots on goal (270), power play assists (26) and power play points (35). 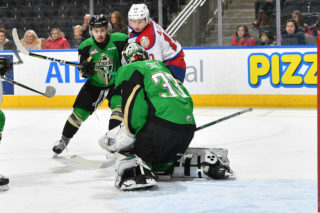 His 65 assists set a new mark for helpers recorded by an Oil Kings player in a single season in modern franchise history. 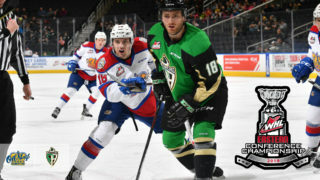 His efforts on the ice helped guide the Oil Kings to their fourth Central Division title, and first since the 2013-14 season. 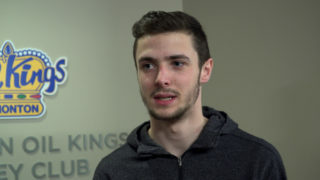 Selected by the Columbus Blue Jackets in the 7th round, 204th overall in the 2018 NHL Draft, the skilled forward signed his entry level contract with the Club last week. 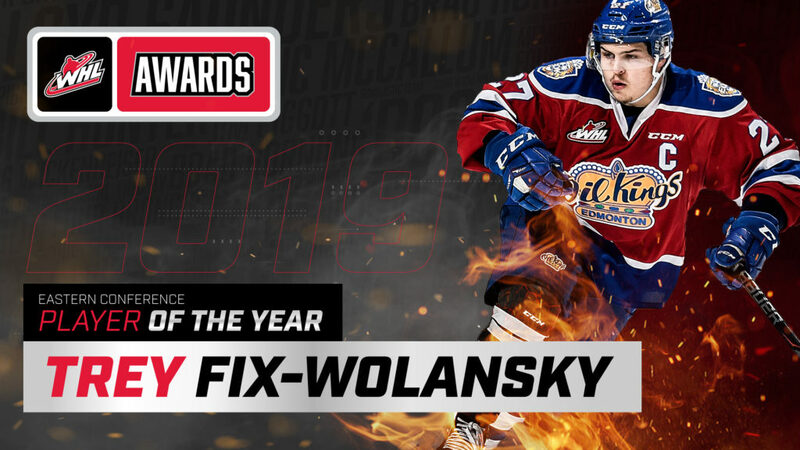 On Wednesday, Fix-Wolansky was also named to the WHL’s First All-Star Team. 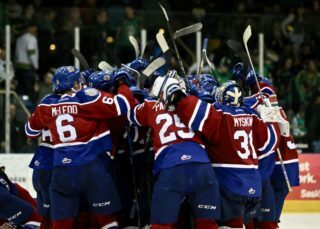 WHL Conference Awards are voted upon by all WHL general managers and head coaches, and all individual winners will be eligible for the overall WHL Awards at the 2019 WHL Awards luncheon in Red Deer, Alta., on Wednesday, May 1, 2019.